People shop on eBay because they're looking for desired items at the best possible price they can get. You know they're looking for bargains, so you can make your own listings stand out from the crowd with eBay promotions. All customers everywhere are more likely to buy when a promotion is in effect, and in fact, 75% of eBay customers are hunting for promotions specifically! You can set up eBay promotions with the eBay Promotions Manager, which gives you several options. To get started, enter your eBay SellerHub and click on Marketing, then click Promotions in the dashboard. Once there, you first choose the type of items you want to promote, and then choose and configure your promotion. You can then add specific items to your offer by choosing them individually or by using rules and categories. At the end of the process, you see a summary of your promotion for review. Give it a descriptive name that helps you identify it (the customer will not see the name). This article will introduce you to the promotions you can create and some strategies for using them. Order discounts are the most popular eBay promotion because they're the most versatile. You can choose from several offer types including Buy One Get One Free (or at a percentage off), get an extra percentage off when buying a quantity, save a certain amount when the purchase reaches a particular threshold, and more. When you're creating an offer that applies a discount to a purchase that meets a minimum, customers prefer a percentage off rather than a specific dollar amount. If you do use a dollar amount, ensure the amount is less than the price of the cheapest item in the promotion, otherwise you'll be giving it away for free. Codeless coupons allow you to create a special link to send out to customers however you choose. When visited, the link will provide them with a discount that you can fully customize. Since having this link (URL) is the only way to get the discount you're offering, codeless coupons are ideal for social sharing to Facebook and Twitter, including the link in emails, or otherwise distributing it where customers will see it. You have some control over how many customers you provide with the coupon URL. You can adjust the dates during which the discount will work, and choose to send it to only a few select customers. By keeping it small, you can offer a larger discount. On the other hand, you could create a more sustainable long-term discount and share it everywhere to help your store go viral. Shipping discounts let you provide your customers with a decreased shipping charge when their order reaches a certain minimum. Shipping discounts are one of the easiest promotions to set up, and they're very popular with customers — especially when your offer includes free shipping. You can set up a shipping discount that the customer will receive when their order reaches a minimum dollar amount, a minimum item quantity, or even no minimum at all. To get your customers to buy more items, offer a shipping discount that requires a minimum purchase slightly above your average order value. This will mean your customers are likely to find themselves needing to purchase only one or two additional items to get the shipping discount, so they'll buy a little more than they planned in order to save money on shipping. Free shipping is always the most popular, but remember you're still going to have to pay to ship the items! You can set up sales events in conjunction with your other promotions to display a sales event message to your customers, e.g. "Sale – Save up to 70% on DVDs." 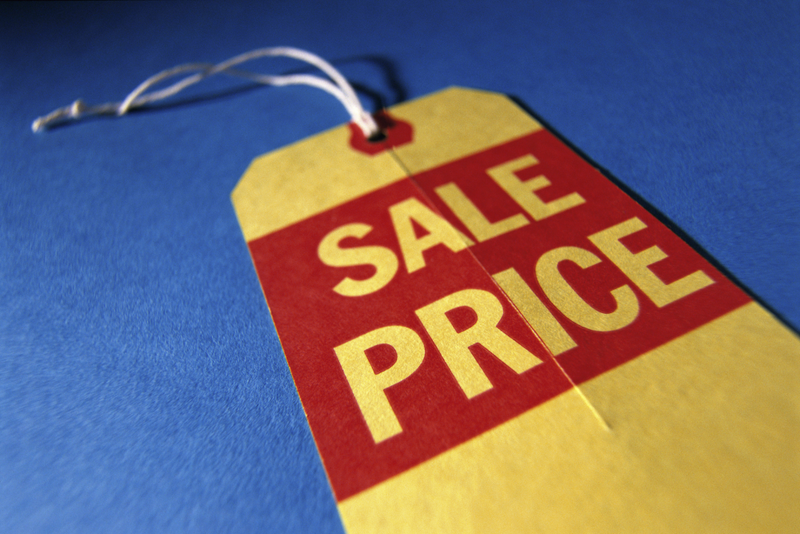 You choose the sale percentage to display, as well as the items that are included in the sale. You can choose what inventory the sale event applies to in a few ways, including exclusion rules, inclusion rules, and choosing items individually. A good rule of thumb is to ensure that at least 10-15% of the items included in your sales event reach the maximum percentage discount you've listed. The sales percentage you select doesn't filter the items in your offer, meaning that if a particular item fits under the rules you apply, it will appear as part of the sales event whether it's discounted or not. Watch out for this to make sure you don't disappoint a customer! Accessory discounts are a great way to cross-promote related products. An accessory discount allows you to offer your customer a percentage or specific amount off of products that go well with another item they're interested in. For example, if you're selling a smartphone, you could offer accessories like a phone case, Bluetooth headset, and speakers, each of which qualifies for a discount if purchased with the phone. Related accessories are required to have free shipping, as they're meant to be added to the package of the main purchase. This applies even if the accessory is larger than the main item, such as a tripod for a camera. It's recommended that each primary item have at least 3 related items, and you should double-check that they're all compatible with each other. The eBay Promotions Manager is a powerful set of tools, but there's much more you can do to increase your eBay sales! For more eBay strategies and information, check out our free ebook below. Soon, you'll master the art of selling on the world's largest online marketplace.